Nevada sports betting investment funds: Out-of-state "entity wagering" allowed by law. 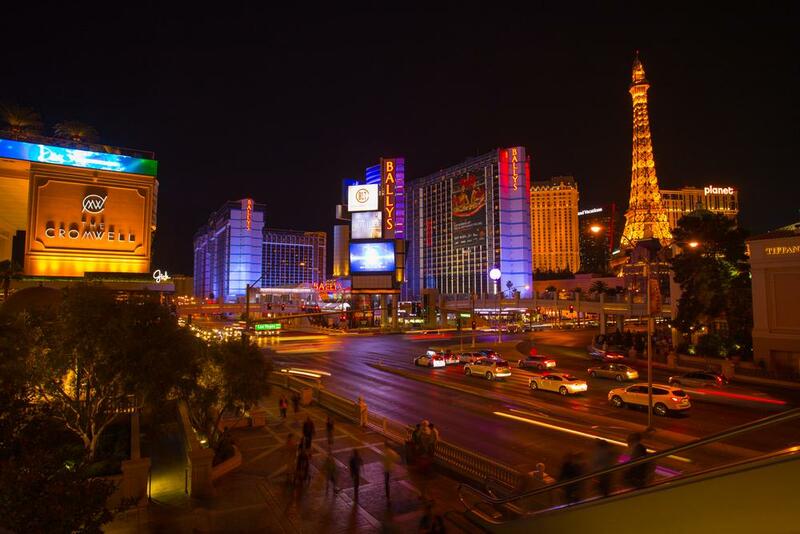 The Las Vegas Strip, where investment opportunities abound. Senate Bill 443 allows Nevada business entities to apply for registration for the purpose of betting on sports and racing at the state’s sportsbooks. Essentially it legalizes sports betting investment funds, similar to traditional mutual funds, that are registered and managed in Nevada but which could include participants from outside the state. Nevada sportsbooks will be free to refuse these funds’ bets, just as they’re free to turn down bets from individuals—and might have an incentive to do so given that the funds will presumably be making large bets based on research more thorough than the average individual who walks in off the street. Sources cited by the Las Vegas Review-Journal speculated nonetheless that the bill could ultimately triple the amount wagered on sports in the state. Per ESPN reporter David Payne Purdum, the bill’s authors believe that residents of states that do not allow sports betting will not face any legal obstacles to investing in Nevada sports funds; whether out-of-state law-enforcement officials agree with that interpretation remains to be seen.